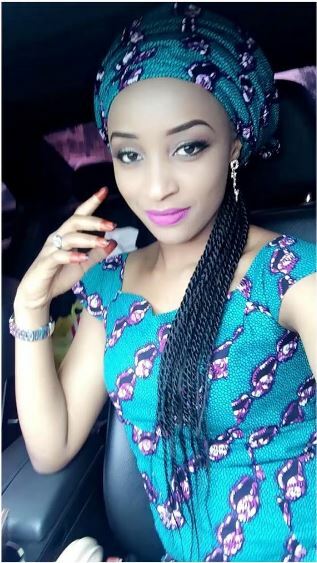 Kaduna born actress Rahama Sadau, 22 has apologized to those that have felt offended in any way over her appearance in a music video by rapper Classiq titled I Love You. The actress was banned last week from the Hausa movie industry – often called Kannywood as her appearance in the video was deemed offensive and against the body’s practice. Rahama’s ordeal has gained international attention and the story is now on international website such as Daily Mail. Following the events of the last few days and MOPPAN’s unilateral decision to exclude me from the Hausa indigenous film industry, known as Kannywood, I would like to use this medium to address my fans, friends, those who have been affected and all who have shown concern. To those who I have offended in any way, shape or form and who I have caused any anxiety by featuring in the said music video, I sincerely apologise. It was a job and I was carrying out my role in my profession, as I would in any other production, be it a Hausa language film or a Nollywood production. However, innocuous touching with other people in my line of work is inevitable. I have lines that I would never cross and indeed I live and stand by the tenets, “actions are judged according to intentions”. The outcome of the events that have taken place has come as a surprise to us all. I may have fallen short of some people’s expectations, but it was never my intention. I make no excuses for my actions and I take full responsibility. Thank you to all those who have reached out at this time and to everyone in general for your unwavering support. Your passion and loyalty hasn’t gone unnoticed and I am privileged to have your support. This, I do not take for granted and I want nothing more than to continue making you all proud. I implore us all to be more tolerant and forgiving towards one another and to cease all the senseless abuse, name-calling and backbiting. This achieves nothing other than to cause a huge divide amongst us. May we all continue to benefit from the Almighty’s mercy and may He protect and guide us all as we go about our daily lives.